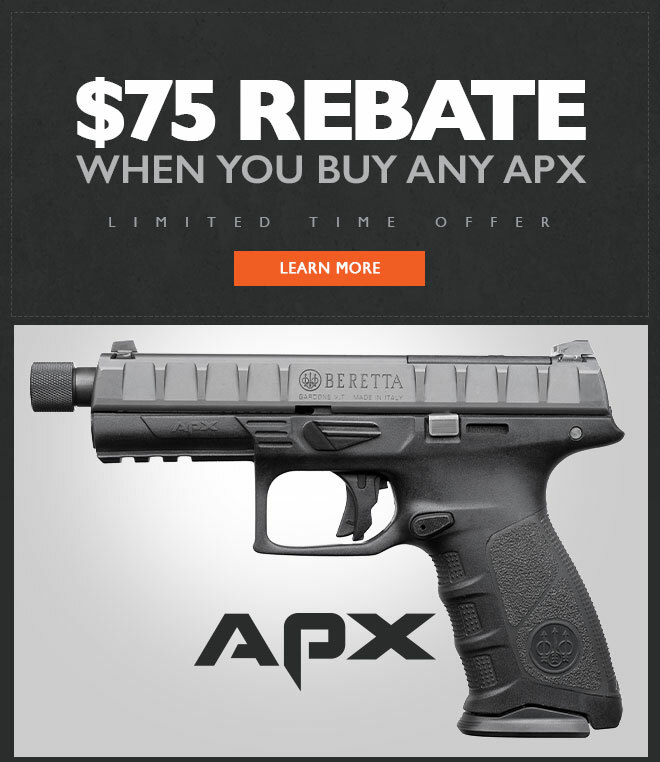 If you’re in the market for a striker-fired handgun, for a limited time you can get $75 back with the purchase of any new APX. 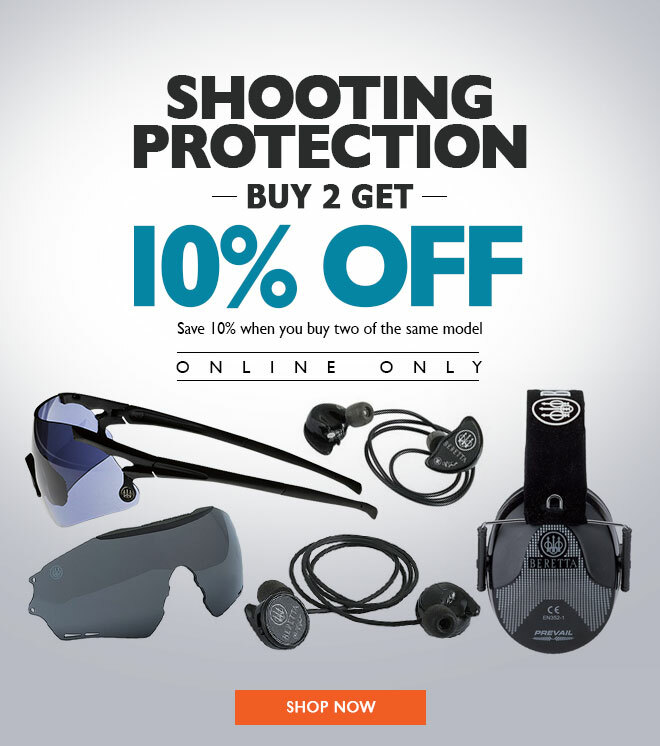 Choose the model and configuration that fits you best, fill out the online form and we’ll send you a $75 prepaid card. But hurry! This is a limited-time offer. Details are below. Free shipping applies to Standard Ground Shipping only for purchases over $50 and those items available for immediate shipment within the 48 contiguous United States. Void in states where prohibited by law. Details of the offer are subject to change. Enter (1) promo code in the “Promo Code” box on the Shopping Bag screen. Discount will automatically appear onscreen in RED. Code cannot be combined with other promotions. Sorry, no rain checks. Not valid on previous or pending purchases. No cash value. 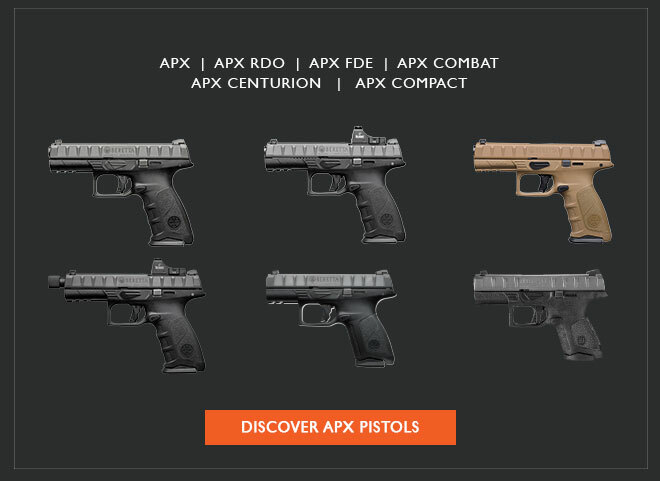 This entry was posted in Promotions and tagged APX, Beretta, rebate. Bookmark the permalink.